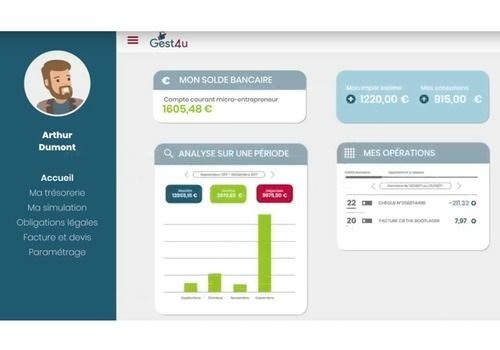 Professionals or micro-entrepreneurs will be happy to benefit from an accounting solution like Gest4U. Whether you are a trader or a freelancer, Gest4U adapts to your profession to support you in your accounting and administrative procedures. You are autonomous in the management of your accounts, and the tool supports you when you need it, for example, by reminding you to remember to make mandatory tax returns. You make your tax returns, but not only, since Gest4U software analyzes your cash flow if you synchronize it with your bank. You also have a tax simulation tool, as well as a module for creating invoices and quotes. A very practical tool to save time for the creation and prosperity of your business. Online business management software all-in-one. Kiwili facilitates the daily life of freelancers, self-employed entrepreneurs, SME managers and entrepreneurs.